Halloween Party Just for Adults- No Kidding! Halloween parties are a lot of fun; you dress up with the wildest of spooky clothes and accessories on, watch scary movies, eat good food, meet friends and enjoy different drinks and music. However, planning a Halloween party for adults is not as easy as it may sound. You need to think about Food, Theme, Decor, Drinks Games and some small extras that will make your party absolutely fabulous. Your aim should be to make your party the 'talk of the town ' amongst all your guests until the Christmas Season comes along. To begin with, the first step is to decide the theme of your party. 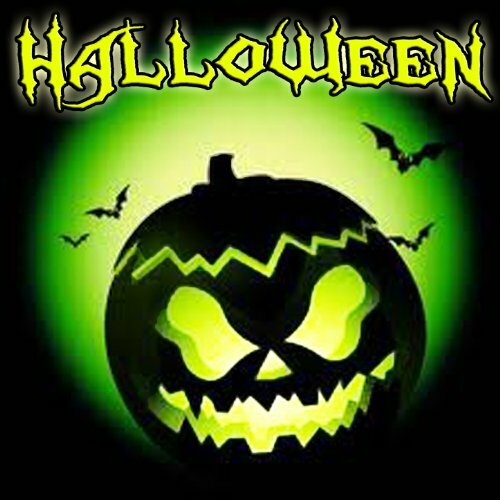 This will not only make your Halloween Party different and unique but also lessen the burden on your guests to decide what they should wear for the party, There are different themes around which you can plan your Halloween Party for example Aliens, 70's, Classic Costumes, Murder mystery, and etc. Credit: riroads.comThe next step is to set up the date. It is better not to plan your party on the actual Halloween evening as the chances of drop outs from the party is much higher. Weekends before or after the actual Halloween date is the best times to do it. Once the date and theme are fixed you may now send out invites to all your guests through email or handouts, mentioning the theme and whereabouts of your party. It is important to highlight in your invites that the guests must follow the theme to enjoy the party to the maximum. 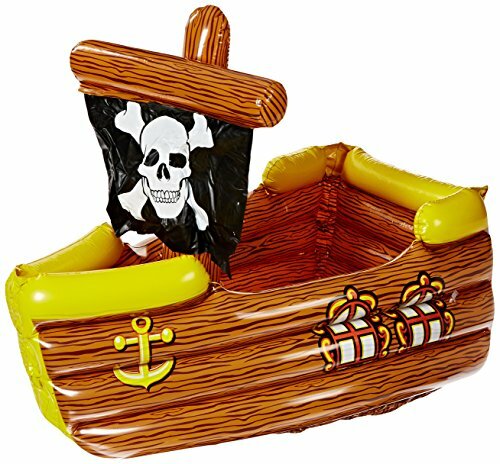 It is advisable to have some extra costumes and accessories as a backup for some of your lazy pals who would end up not coming in the planned theme. You don't want to break the uniformity of your party! Next important thing is the decoration part of it which is of utmost importance. Halloween Parties are all about sweet scary surprises for the guests. Make the ambience very fascinating and thrilling by adding a pinch of horror and drama to it. Use lanterns, candles, crepe papers, spider webs, fake blood, and shadows as a major part of your decoration. Play around the colors black and red as this gives the whole environment the exact Halloween touch. There are ample of cds available with sound of lightening, thunder, screams, ghost voices, and etc. Use this as a surprise element for your guests. You may also play around the lighting. Low dim lights set up the frightening atmosphere, which is exactly what you need at your party. Food is the most important and most awaited part of any party and it better be good. Keep it as casual as you can as your guests would not be very comfortable sitting on an elegantly set up table with their heavy spooky costumes, accessories and makeup. Give scary names to the each dish on the menu to make it rather tempting for your guests to taste the devilish food. Some interesting names that may be used in your menu include deviled eggs, fat chicken wings, hot potato legs; mushroom eye balls dipped in bloody marry sauce, red blood cupcakes, smoky cheese bars, black cat vanilla pudding, and etc. Create name plates for your dishes and decorate them with blood spots and black glitters to match to the ambience. The party seems to be incomplete without entertainment. Make an interesting backdrop with ghosts, mysterious faces, blood, vampire teeth, and etc. Keep some extra props and accessories as well. Click photographs of every guest as they enter the party and hand it out to them at the very same time. This will provide the memory of the even that will last for years. Play Halloween movies for your guests for them to completely sink into the party. 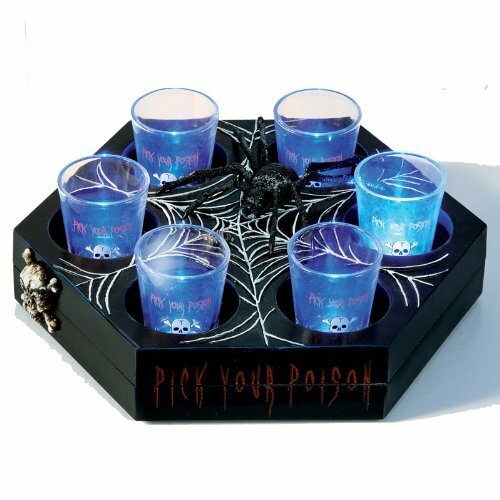 Credit: www.casinopartiesphoenix.comHalloween Games play an important part to spice up your party. There are many to choose from. Make the games match your themes if possible. Make ice breaker games if the invited guest may not know each other. Guess who- is a kick starter to help build relations with other guests. As your guests enter the party, place a piece of paper with a Halloween Movie Character, the deal is to guess the name of the character by asking the other guests present at the party by giving them clues. This way the guests not only enjoy the fun filled game but also interact with each other thereby getting more comfortable at the party. Mind wind- Once all your guests have arrived, announce that there will be certain words they cannot use throughout the evening and if they do they will be asked to some embarrassing act as a part of penalty. This adds a sense of humor to the party. Break the pot-Hang a pot on the ceiling, blindfold the guest and ask him to break the pot with a stick. The winner gets a small goody bag filled with some exciting gifts. Ghost Stories-All the guests gather around and one by one tell a scary Halloween tale and either the scariest or the funniest one wins a prize. Count the Candies- This is a simple Halloween Game for adults which requires a little bit of brain storming. Take a jar filled with various candies and the guests need to guess the number of candies that are there in the jar. The closest one gets the whole jar of candies. There is no limit to the number of things you can do to make your Halloween party truly worthwhile. The trick is to choose the right theme and play around it till the end as it makes it a lot easier to decide on the menu, decor, music, lighting and the type of invitations you wish to send out to your guests. Just follow these simple steps to throw a memorable Halloween party for adults. After all why should kids have all the fun!